It sounds so clever, so right … that you want to share it immediately! Which, one assumes, is the point. 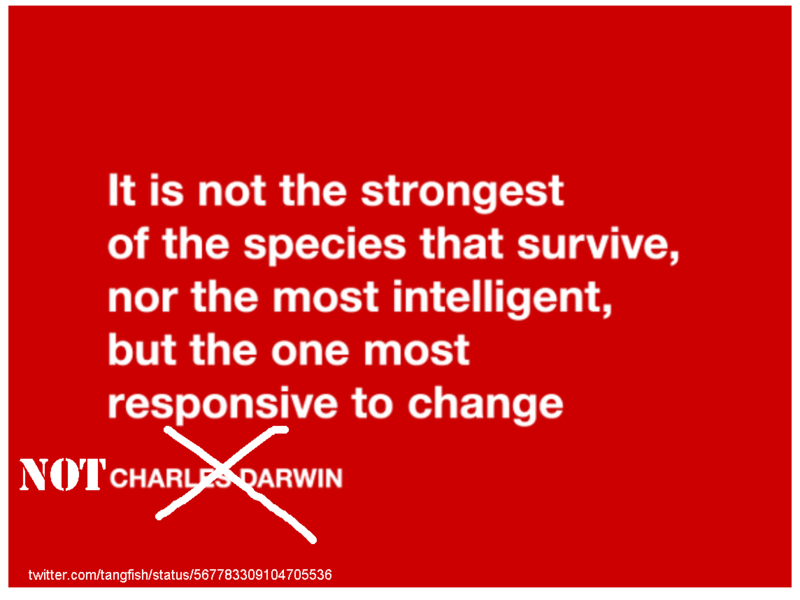 This particular version of the quotation misattributed to Charles Darwin was in my Twitter feed. The Darwin Correspondence Project makes it clear that this is not Darwin. They gave an award to Nick Matzke for documenting the quote, which you can find on scads of images. If it sounds too good (or too bad!) to be true, it probably isn’t! Check before sharing! Where to check quotations? I start with Wikiquote. Sometimes I search-inside-books using Amazon or Google. Don’t trust any of the thousands of quotation sites on the web (unless there is a source – and then, maybe not).